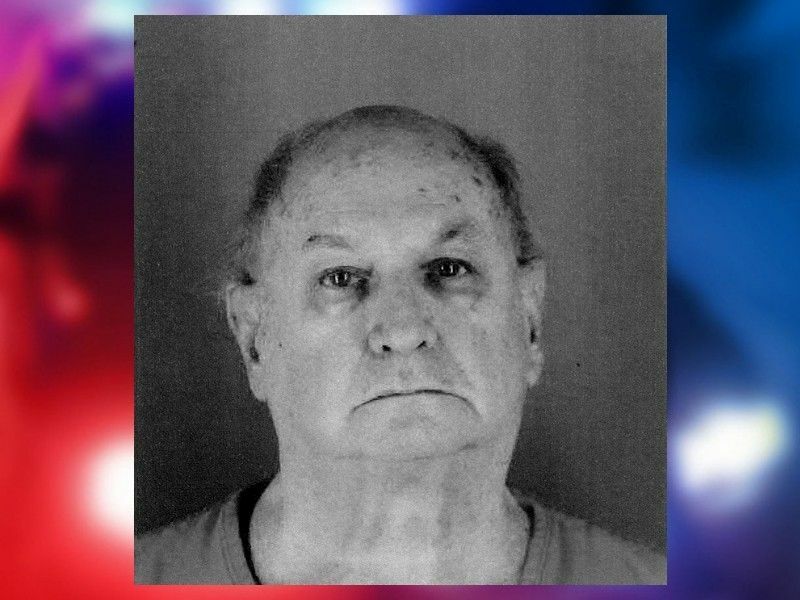 A former Sawyer County Priest is facing charges of sexually assaulting altar boys while he was assigned to St. Peter’s Parish in Winter, WI. According to multiple criminal complaints, during an interview with investigators the former Wisconsin priest recalled fondling multiple boys while at St. Peter’s in Winter, WI as well as at other parishes throughout Wisconsin, including Rice Lake, WI and Rhinelander, WI. SAWYER COUNTY -- Criminal charges have been filed in Sawyer County Circuit Court against a former priest who served at St. Peter’s in Winter, WI in the years 1982 and 1983. Thomas Ericksen, 71, is charged with Class B Felony 1st Degree Sexual Assault of a Child, Class C Felony 2nd Degree Sexual Assault-Against Child, and Class C Felony 2nd Degree Sexual Assault/Unconscious Victim. These charges stem from incidents that occurred while Ericksen was assigned to St. Peter’s Parish in Winter, WI. Three separate criminal complaints were filed on November 16, 2018, against Ericksen, detailing the statements of the male victims: one of them had not yet reached the age of 12 and another was under the age of 16 at the time of the assaults. The alleged victims all told investigating officers that they served as altar boys for Ericksen when he was serving as a priest; stating that Ericksen was like a “surrogate father” to them, and that they spent a great deal of time with him. The criminal complaints state that Ericksen would spend time with the alleged victims, taking them to sporting events, movies or out to eat and that they spent time with him alone at the rectory, where the alleged assaults occurred. According to one of the criminal complaints, in February of 1983, Ericksen allowed one of the alleged victims to use Ericksen’s car to attend homecoming festivities, after which the alleged victim attended a house party and consumed alcohol. When the alleged victim returned Ericksen’s car, Ericksen suggested that he stay at the rectory and sleep in the spare room. The alleged victim told investigators that he remembers going in and out of consciousness due to his consumption of alcohol and that he remembers Ericksen sexually assaulting him with his hands. Another of the criminal complaints states that the alleged victim became acquainted with Ericksen at St. Robert’s Church in Merrill, WI when Ericksen was assigned there. After Ericksen was reassigned to Winter, WI, the alleged victim made a trip to Winter, WI in September 1982 to see Ericksen, having no knowledge at the time of any allegations against Erickson. The alleged victim, who was not yet 16 according to the criminal complaint, traveled with family members to see Ericksen and they stayed at the rectory with Ericksen. Upon Ericksen’s suggestion, the alleged victim stayed in Ericksen’s bedroom with him, which is where the alleged victim states that Ericksen sexually assaulted him with his hands prior to the victim falling asleep. The alleged victim went on to say that he was awoken during the night to find Ericksen again sexually assaulting him. The third criminal complaint states that between June 1982 and April 1983, Ericksen sexually assaulted a male victim (who would have been under the age of 12 at the time) on multiple occasions. According to the criminal complaint, Ericksen exposed himself to the alleged victim and also sexually assaulted the alleged victim with his hands. The alleged victim told investigators that Ericksen would direct him to join Ericksen at the rectory. Ericksen would then lock the door, draw the shades, and prepare food for the two of them to eat. The alleged victim went on to say that following the meals, Ericksen would sexually assault him. All three criminal complaints state that during an interview with investigators Ericksen acknowledged fondling multiple boys while at St. Peter’s in Winter, WI as well as at other parishes throughout Wisconsin, including Rice Lake, WI and Rhinelander, WI. Ericksen served at numerous parishes throughout Wisconsin starting in 1974 including Cathedral of Christ the King in Superior, WI and St. Peter’s in Winter, WI, and was permanently removed from ministry in 1988. A lawsuit was filed against Ericksen and the Diocese of Superior in 1989 and was later settled for nearly $3 million, according to andersonadvocates.com. The criminal complaints filed against Ericksen state that he left the State of Wisconsin shortly after the incidents in Winter, WI. He went on to live in Minnesota, Missouri, and Indonesia. If convicted of all three charges, Ericksen faces a potential maximum sentence of 40 years confinement in State Prison. Ericksen remains in custody in Minnesota awaiting extradition to Wisconsin to appear on his criminal charges.